Correction: The prior rendering of Diablo Canyon that was published with the original story was incorrectly labeled as a file photo. 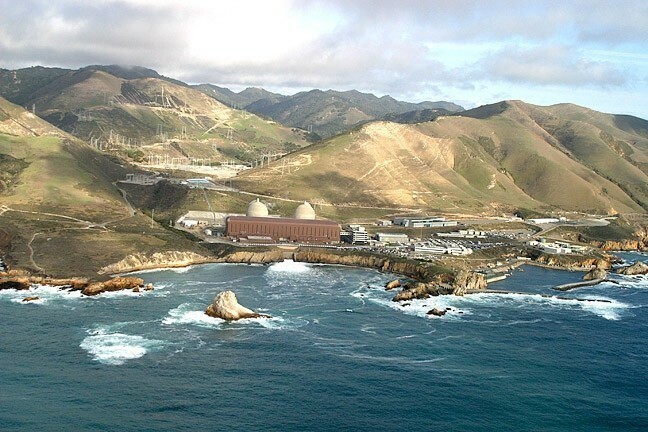 In a blow to San Luis Obispo County cities and schools, a judge with the California Public Utilities Commission (CPUC) has ruled against a negotiated settlement between PG&E and local agencies that promised $85 million to help offset the impacts of the Diablo Canyon Nuclear Power Plant decommissioning. MILLIONS AT STAKE A California Public Utilities Commission judge ruled against a settlement between local agencies and PG&E for $85 million on Nov. 8. CPUC Administrative Law Judge Peter Allen submitted the ruling on Nov. 8, which came on the heels of a year's worth of hearings to process PG&E's application to retire the nuclear plant by 2025. Within that application was the $85 million mitigation plan to ease the pain of lost of tax revenue and economic benefits to SLO County, its seven cities, and the San Luis Coastal Unified School District (SLCUSD). Allen argued in his ruling that the settlement shouldn't be paid for by PG&E ratepayers. "It is essential to consider whether the proposed settlement is fair to PG&E's ratepayers, who are being asked to pay the $85 million cost of the payment program," Allen wrote in his ruling. "This commission is reluctant to require ratepayers to pay for the cost of local government services that are typically paid for by taxpayers, no matter how beneficial those services may be." Allen added: "If legislation specifically directs this commission to provide ratepayer funding for the [settlement], the commission would do so." He also noted that PG&E could use shareholder funds to pay for it instead. The CPUC board, not Allen, will have the final say on the settlement. His ruling will go before the board as a recommendation on Nov. 28. Nonetheless, it's less than encouraging to local officials who waited on pins and needles for the CPUC to approve the mitigation funds. "We have eagerly awaited that ruling," said Eric Prater, superintendent for the SLCUSD, in a blog post to the school community. "Unfortunately, Judge Allen did not approve the proposed [plan]. In the meantime, we will explore all potential legal and political options at our disposal." State officials representing San Luis Obispo also weighed in on the ruling, expressing disappointment and commitment to continue advocating for funding. "The proposed decision is disappointing on a number of levels," 35th District State Assemblyman Jordan Cunningham said in a statement. "I am exploring any and all options to ensure the appropriate funding of these critical needs."